Abstract: The practice of a rural school psychologist is challenging, and can be fraught with aspects of isolation, role confusion, and burn out. In many rural communities the only qualified mental health professional may be a school psychologist, and as such, these psychologists require a great number of skills in order to meet the diverse needs of their community, as a referral to a specialist outside the community may not be feasible. To determine the competencies required of rural school psychologists, Conor is conducting a collective case study of rural school psychologists from across Saskatchewan using a Communities of Practice (Wenger, 1998) conceptual framework. Preliminary results have focused on the Knowledge, Skills, Attitudes, and Behaviours (KSABs) required of rural school psychologists, the ways in which rural psychologists gather in communities to maintain their competency, and their ability to use creativity when faced with difficult situations so that they can support students, schools, families, and communities. This study acknowledges the general-practitioner role that rural school psychologists play within the field of psychology, when present discourses tend towards a more specialized practice and discussion of clinical competency. It further describes the ways that rural psychologists can gather within communities of practice in order to sustain competent and ethical practices in psychology. What is the connection between horses, educational psychology, and Indigenous youth and culture? Reconnecting with cultural and traditional ways of knowing and being is increasingly seen as a significant part of the healing and learning process for First Nations peoples, whose culture has been historically and systemically oppressed by the colonization process. Language revitalization has been a key focus of cultural preservation and reclamation, but Equine Assisted Learning (EAL) is a relatively new and less understood approach to learning and healing, at least among the scientific community. For Indigenous peoples, however, horses have long been viewed as carriers of knowledge and healers. The preservation of the critically endangered Lac La Croix Indigenous Ponies, then, is part of the process of cultural reclamation and preservation, and thereby healing and learning, as relations between Indigenous horses and peoples are (re)established. 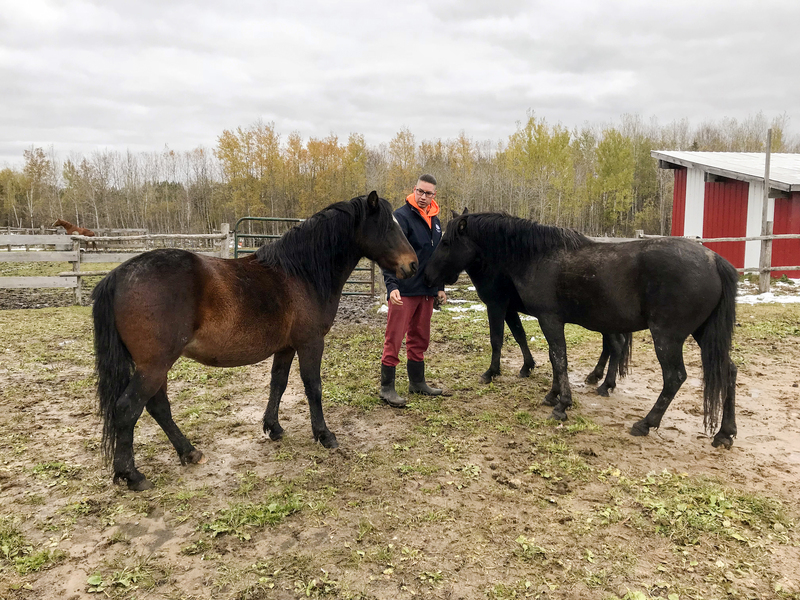 Angela, Cullan, and the Lac La Croix Indigenous Ponies all originate from Treaty 3 territory in Northwestern Ontario. Horses have been part of Angela’s life from her earliest memories at her home in Fort Frances. “I have a picture of me on a horse before I could even walk,” says Angela. Her parents were caretakers of Lac La Croix Indigenous Ponies and Nez Perce horses. Angela credits her father as a mentor who has taught her a great deal from his knowledge of working with horses. Reunions such as these lead to the beginning of relationships with the more-than-human world, and are what Angela calls a “doorway to the culture,” which can help youth make other cultural connections, such as ceremony. For instance, Angela and Cullan’s relationship with the Lac La Croix Indigenous Ponies at the Sanctuary has meant that they have sought guidance from local traditional Elders and engaged in horse-specific traditional ceremonies held in communities, such as the Horse Dance. Angela would like to share the doorway experience with her Educational Psychology students: “I want to help students step through that doorway. That’s how we understand how to help others, by experiencing it ourselves. And in return we help the ponies. That’s the whole mutual helping process, helping the horses in their fight against extinction. We need the Lac La Croix Indigenous Ponies as much as they need us,” says Angela. She plans to start bringing her students out to the Sanctuary for classes in Spring. A 20-foot tipi will be raised as Angela prepares to bring her students in contact with the ponies and the land. Master’s student Kelsey Moore, who received a B.Ed. 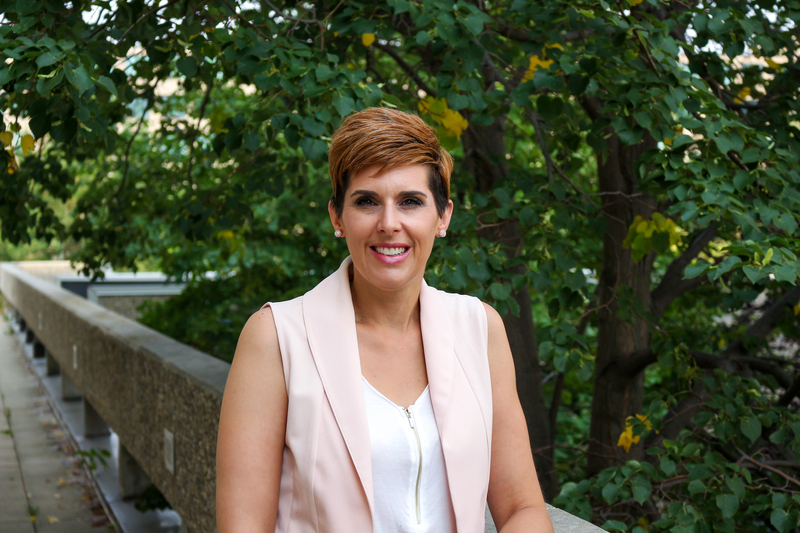 in Indigenous Education from First Nations University of Canada, is now undertaking her M.Ed. in Curriculum and Instruction at the University of Regina under the supervision of Dr. McGinnis and the mentorship of Life Speaker Noel Starblanket. Kelsey is Métis and grew up in Yorkton. Her lifelong passion for horses began with several summers spent working with youth at horse camps and riding stables and continued with her experience of getting to know the Curly Horse breed at her inlaws’ farm. Her thesis research question perfectly intersects with Angela’s interest in understanding and offering evidence-based research to explain how and why Indigenous youth benefit in both educational outcomes and mental health, through establishing relationships with horses and how Equine Assisted Learning programs can be successfully culturally adapted. Kelsey and Angela are amazed to have found each other. Angela says, “What are the chances of me finding a student who wants to work with Indigenous horses?” The two researchers are working toward the same ends as those involved in language revitalization: “We are all tackling a shared goal: Cultural preservation,” Angela says. The actual preservation of the critically endangered Lac La Croix Indigenous Pony extends as a metaphor for cultural and identity preservation: “Their mere presence is a counternarrative to the colonial narrative of the extinction of Indigenous horses to the Americas,” says Angela. Indeed, the Lac La Croix Indigenous Pony’s survival itself inspires hope. 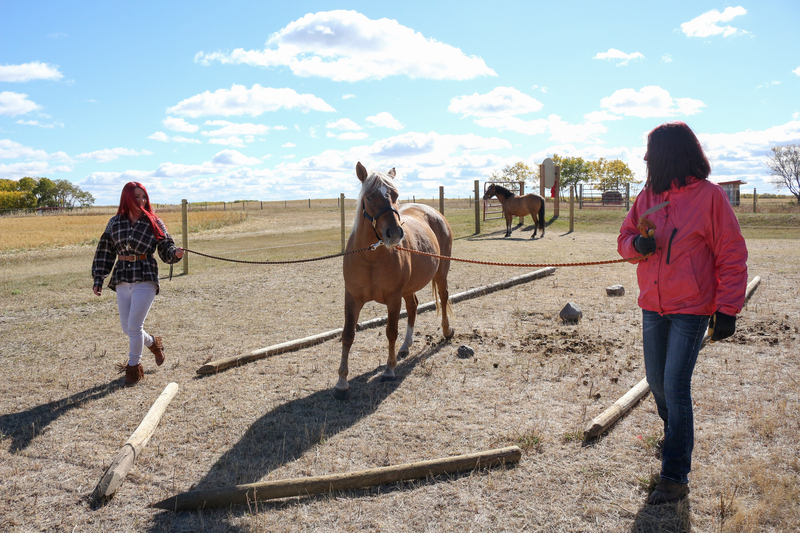 But beyond that, Angela feels that interaction with Indigenous horses gives “Indigenous youth opportunities to connect with horses who have resilience and strength, like their own, that they can identify with, a culturally specific story,” she says. 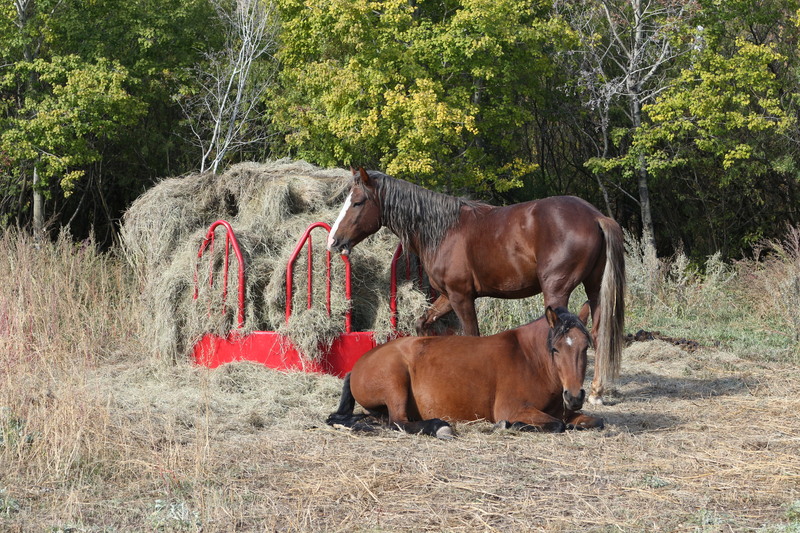 What exactly is Equine Assisted Learning (EAL)? To deepen her understanding of EAL, Kelsey received EAL certification in August at Cartier Farms, near Prince Albert. Cartier Farms teaches that establishing an experiential hands-on working relationship with horses, with their sensitivity, non-verbal communications, resilience, and forgiving ways, can be an effective approach to learning, to self-knowledge, and to self-evaluation. Angela, who has been guided by the traditional Elders, Knowledge Keepers, and communities with whom she has worked, sees the potential for healing and learning in culturally adapted EAL. Angela views horses as “more-than-human co-constructors of knowledge.” Horses have much to teach us about the land and living on the land, she says. Elders and Knowledge Keepers have taught Angela that, with their four feet always on the ground, horses have a greater connection with Mother Earth, and through this connection, the Creator. Thus, traditionally, horses have been considered a source of maintaining and recovering holistic wellness. Yet, there is an urgency that requires speed in this research due to the need for Indigenous youth to be able to access culturally adapted healing and learning programs. As a mother of a toddler, Kelsey had intended to move a bit slower with her research, but she says everything is moving much quicker than she planned or expected. Kelsey’s research, using what Angela describes as “a pure Indigenous research method,” seeks to understand the spiritual and cultural connections between Indigenous youth and Indigenous horses. Incorporating ceremony as research, Kelsey is documenting her interactions and deep listening experiences with the ponies, along with the conversations she has with Elders and Knowledge Keepers to make sense of what she observes. On September 18, grad student Kelsey Moore presented at the Caring for Those Who Care:The 2018 Saskatchewan SPCA Conference in Saskatoon. 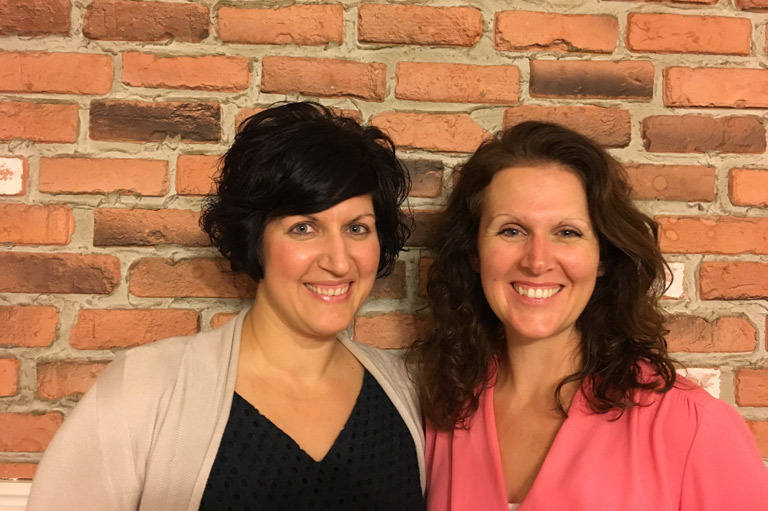 Naomi Fortier-Fréçon and Leia Laing are still relatively early in their teaching careers but they have already left an important legacy. 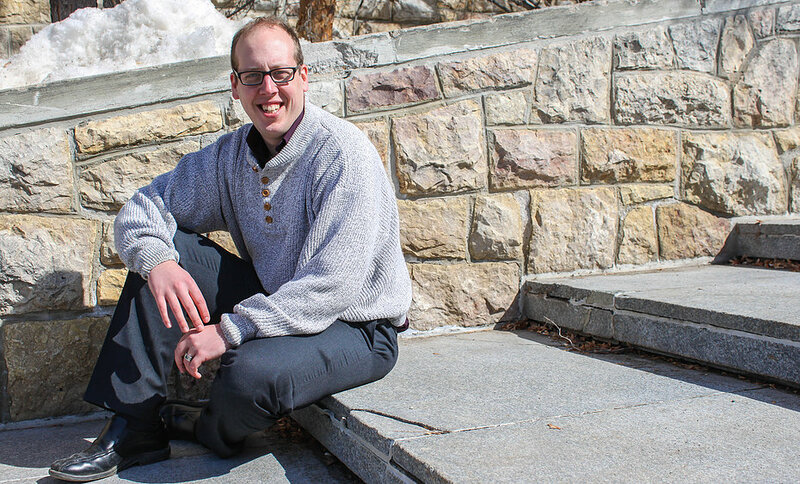 This past November, Fortier-Fréçon and Laing, both graduates of the U of R, received the Governor General’s History Award for Excellence in Teaching. 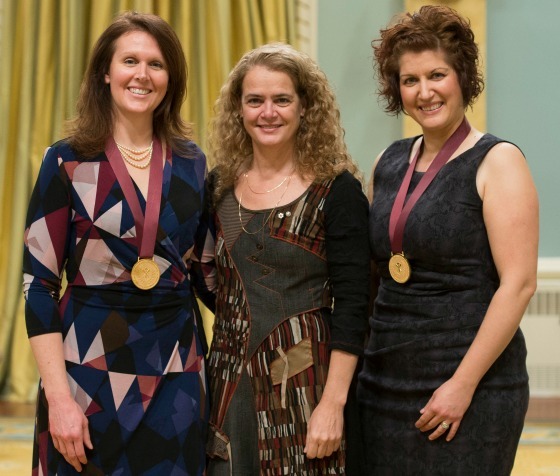 Governor-General Julie Payette, presented the award at a ceremony at Rideau Hall in Ottawa. They were recognized for co-founding the Treaty4Project in 2014 while they were teachers at Regina’s Campbell Collegiate High School. 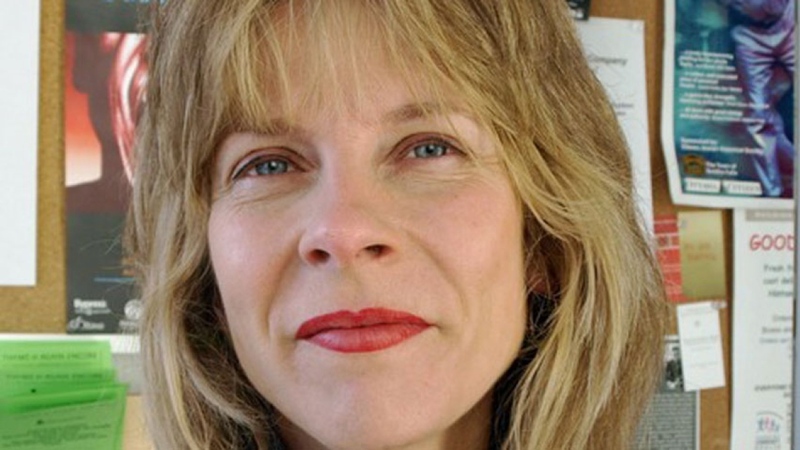 Fortier-Freçon, while still teaching, is a U of R student once again, working on her PhD. The idea for the project came when Laing and Fortier-Fréçon concluded that students were not receiving the treaty education required. So they started working on a program. The teachers started developing their idea. They searched for input. They approached Calvin Racette who was the Indigenous Education Coordinator with Regina Public Schools. Racette supported the project from the beginning and suggested the teachers include Noel Starblankett, Knowledge Keeper at the University of Regina and Sandra Bellegarde, Indigenous Education Consultant with Regina Public Schools. More people came onboard and the project “quickly snowballed into a group of inspired, passionate members who became the founding committee. Together we started to imagine the Treaty4Project,”says Fortier-Fréçon. The principal aim of the project is for student to understand their generation’s relationship with Treaty 4 in Saskatchewan. The project provides students with an opportunity to engage with community members including elders, Indigenous artists, university professors, activists, and education students. 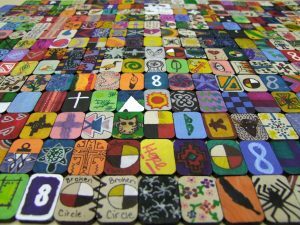 Laing had the idea to use art to help the students reflect about the meaning of treaties in a creative context. The result was a major mural project with Cri-Métis artist Ray Keighley at Regina’s Scott Collegiate in 2015. 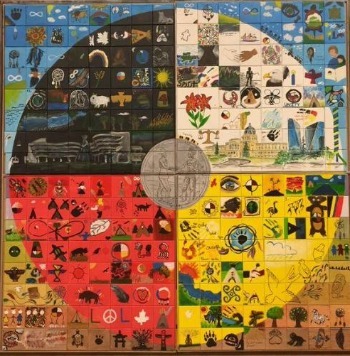 A second mural created in 2017 and created with Cri-Ojibway artist Lloyd Dubois is on display at the library at École Elsie Mironuck Community School in Regina. 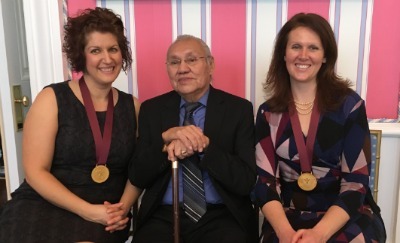 (l-r) Naomi Fortier-Fréçon, Noel Starblanket, Knowledge Keeper at the U of R and Leia Laing. The Treaty4Project founding committee worked on organizing a youth conference to deepen the knowledge previously taught in the classroom and allow members of the community to share their stories with the students. Elders were regularly brought into classes. More than 200 students from four high schools took part in the first conference in 2015. Two more conferences followed and now a fourth one is scheduled for 2018. “The Treaty4Project has allowed us to have the opportunity to work in collaboration and build relationships among students, teachers and institutions and this is what we believe to be the true meaning of reconciliation,” says Fortier-Fréçon. 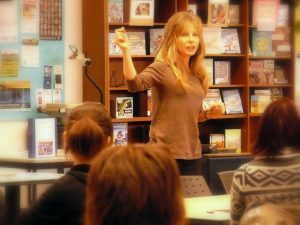 Leia Laing is now teaching Grade 6 at École Monseigneur de Laval. She earned her Bachelor of Education at the U of R in 2008. Naomi Fortier-Fréçon teaches French Immersion at École Elsie Mironuck Community School in Regina. 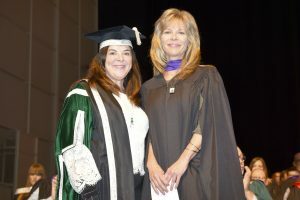 She earned her Bachelor of Education at the U of R in 2007 and her Master of History at Université de Sherbooke in 2010. She is currently a PhD student in the Faculty of Education working under the supervision of Dr. Fadila Boutouchent. Artists Ray Keighley and Lloyd Dubois. Tracey Ellis – FW Johnson High School. Dr. Mike Cappello (Education Faculty) and many more presenters from 2015 to the present day. Graduate students with diverse backgrounds have come together with a common goal of decolonizing adult learning. The graduate course, Trends and Issues in Indigenous Adult Education, explores research, theory, and the practice of trends, issues, and perspectives in Indigenous learning. Students from six countries were in the class from Brazil, Canada, Nigeria, Pakistan, South Africa and Sri Lanka. The diversity speaks to the higher number of international students who are choosing to further their studies at the University of Regina. 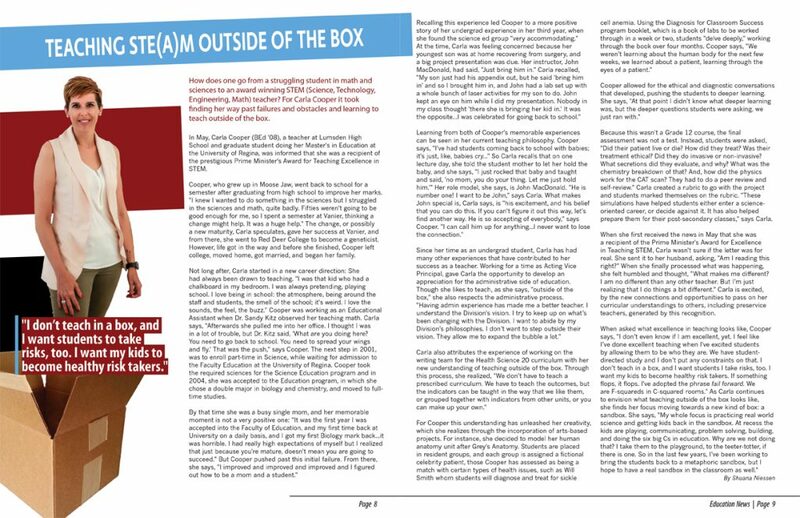 Having such a mix of backgrounds and viewpoints in one class made for some eye-opening perspectives on trends and issues involved in decolonizing adult learning in order to improve Indigenous education. The class was led by Dr. Cindy Hanson, Associate Professor of Adult Education/Human Resource Development in the Faculty of Education. Many also feel little has been done to build structures and programs in communities for adult learning about decononization and Indigenous issues. They see this class as a good start. The students appreciated the participatory approach to Hanson’s class, allowing for discussions. The students frequently exchanged and shared ideas on indigenization of education from their perspectives. Shown here are Nadeeka Obada Lekamlage (l) and Twana White (R). José Wellington Sousa is from Brazil and is working on his PhD in Adult Education at the U of R. He has earned a BA in Economics and a Masters of Science in Administration at the University of Amazonia in Brazil. Issah Gyimah, who earned his Bachelor of Education at the University of South Africa, grew up in the post-Apartheid era. He’s taught in South Africa, South Korea, and Saudi Arabia. He started his studies at the U of R in September. Gyimah points out that adult education in South Africa is a growing area and a field that is not completely developed. “We’ve been looking at children, but adults have influence on the children. There is a backlog of adults who did not get an education so this has left a big gap in South Africa,” he says. Pauline Copland earned her Education Degree from Arctic College in Nunavut. She’s working towards her masters in curriculum and instruction at the U of R. Her first language is Inuktikut. The class includes one student from Saskatchewan, who sees her experience and diverse views as an asset that will help her down the road. Chantelle Renwick has a Business Degree from the U of R and a graduate diploma in teaching from New Zealand. It was her experience in New Zealand that started her passion for Indigenous education. She’s working on her masters in Indigenous Education. “What we hear over and over is that colonization has happened in so many part of the world and that Indigenous people have been dealing with the loss of culture and language,” says Renwick, who is an instructor of Office Administration at Saskatchewan Polytechnic in Regina. 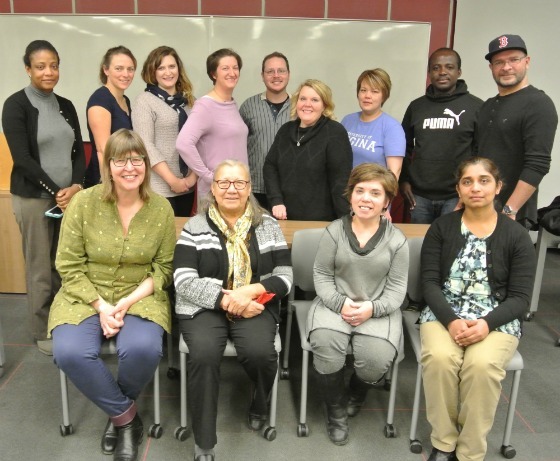 The final class December 5, in the presence of elder Alma Poitras, featured a discussion about what the students learned and how it could be applied to their workplace or personal lives. The classes also featured speakers including elders, a speaker from the Office of the Treaty Commission, a Metis lawyer storyteller, a talk by the U of R’s James Daschuk author of Clearing The Plains, and a fieldtrip to the Royal Saskatchewan Museum led by curator Dr. Evelyn Siegfried. “Decolonizing adult education is a current theme in the field of adult education and a critical perspective on how to do this with a range of learners is important,” says Hanson. 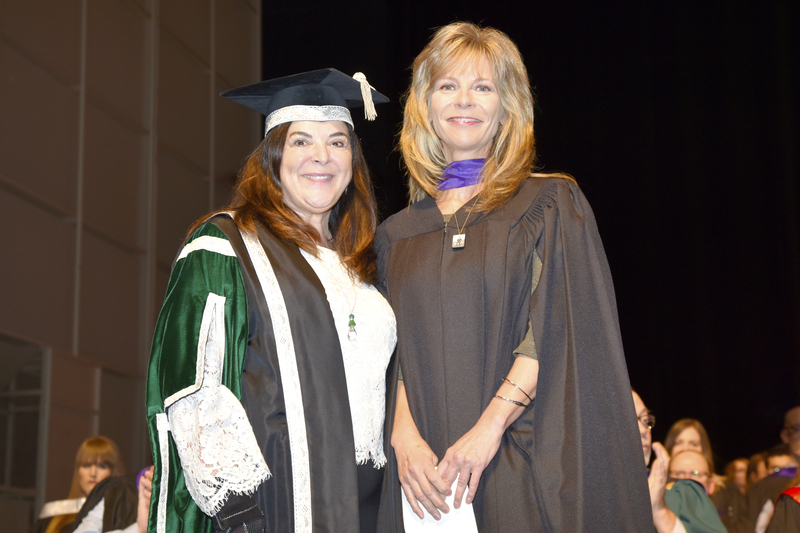 The University of Regina has enjoyed an increase of graduate students. As of the Fall 2017, 1,902 graduate students are furthering their studies at the University. Le Treaty4Project a principalement pour but d’aider les élèves à comprendre les liens qui relient leur génération au Traité 4 en Saskatchewan, aujourd’hui et dans les années à venir. Grâce à la participation d’aînés, d’artistes autochtones, de professeurs d’université, d’activistes et d’étudiants en éducation, le projet donne aux élèves l’occasion d’échanger avec des membres de la communauté et d’acquérir les connaissances fondamentales dont ils ont besoin pour s’attaquer à des dossiers très complexes. Le projet a été mis sur pied en 2015 avec le soutien du Saskatchewan Arts Board et comporte maintenant deux composantes. La première est une conférence pour les élèves du secondaire à l’Université des Premières Nations du Canada où l’on propose aux participants des ateliers, des discussions de groupe et des réflexions sur l’histoire du traité et l’éducation. En 2016 s’est ajoutée une nouvelle composante faisant appel aux élèves du niveau élémentaire; ces derniers ont alors collaboré avec un artiste local à un projet visant à explorer le concept de réconciliation. Mme Fortier-Fréçon et Mme Laing sont des enseignantes d’histoire du Canada enthousiastes et dévouées et le Treaty4Project est un bon exemple de la façon dont les enseignants peuvent intégrer des gestes de réconciliation concrets dans leur salle de classe. The principal aim of the Treaty4Project is for students to understand their generation’s relationship with Treaty 4 in Saskatchewan, both today and in the future. Through the participation of elders, Indigenous artists, university professors, activists, and education students, the project provides students with a chance to engage with community members and gain the fundamental knowledge they need to tackle very complex issues. The project was first implemented in 2015 with the support of the Saskatchewan Arts Board and now has two main components. The first is a youth conference for high school students at the First Nations University of Canada, which features workshops, group discussions, and reflections on treaty history and education. As a new component in 2016, elementary students collaborate with a local artist on a project that explores the concept of reconciliation. Ms. Fortier-Fréçon and Ms. Laing are enthusiastic and dedicated to teaching Canadian history and the Treaty4Project serves as an example of how educators can incorporate meaningful acts of reconciliation in their classroom. Naomi Fortier-Fréçon is a graduate of the Bac program and currently a PhD candidate in the Faculty of Education (Supervisor: Fadila Boutouchent). Leia Laing is a graduate of the Bac program. Both are French immersion teachers at Campbell Collegiate in Regina, Saskatchewan. Naomi and Leia will be presented with the Governor General’s History Award at Rideau Hall in Ottawa, ON, on November 22, 2017. ELNG 200 students are volunteering in a community-based language program for new Canadian women with infants and preschool-aged children. The program was developed by the Faculty of Education’s Dr. Fatima Pirbhai-Illich and Professor Emeritus Dr. Meredith Cherland in partnership with the Saskatchewan Synod of the Evangelical Lutheran Church in Canada (ELCIC). ELNG 200 is a second-year Faculty of Education course that prepares future teachers to support students learning to speak, read, and write the English language. As part of the course requirements, students must be involved in 8-10 hours of critical service volunteering. 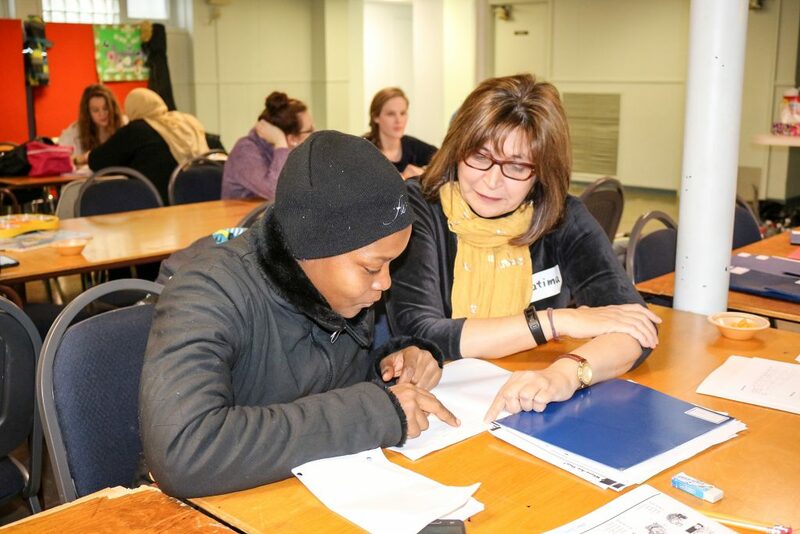 However, with approximately 30 students per course looking to fulfil their volunteer requirements in teaching English as an additional language (EAL), this requirement can pose a difficulty. 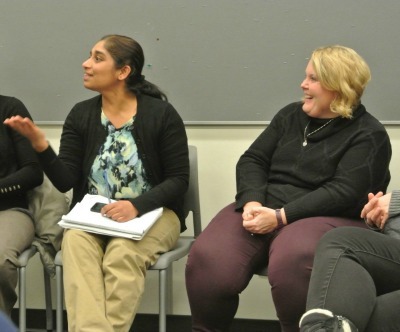 Dr. Fatima Pirbhai-Illich, who teaches the course, says, “Sometimes students are left scrambling.” Thus, she began looking for new venues where her students could volunteer. Dr. Pirbhai-Illich approached a colleague, Professor Emeritus Dr. Meredith Cherland, about the needs of her students. Dr. Cherland, who is chair of the Welcoming the Newcomer Committee for her church, Our Savior’s Lutheran Church in Regina, had been working with the committee, filling out federal forms of application for sponsoring a Syrian family of six. The committee was aware that the process would take several more months and they were asking themselves what to do in the meantime. Meredith had met 18-year-old Finda Sam, her husband Amos Kamato, and their baby boy at church. Meredith says, “The couple had spent many years of their young lives in a refugee camp in Guinea, although they were born in Sierra Leone. Their first language is Kisi, an African language I had never heard of.” Finda had approached Meredith, asking if she could help her to learn to speak English better, and to learn to read and write English. Finda was waiting for a childcare opening before she could begin English classes at the Open Door Society. “The classes at Open Door and the Library have a limited number of spaces and there are wait lists,” says Meredith. With Finda’s situation in mind, Meredith and Fatima started thinking about the many new Canadian women in Regina who could not attend EAL classes because they had babies or preschoolers to care for. They began working to set up a community-based language program for newcomers to Canada, specifically those who are on waiting lists for language classes through the Open Door Society, the Regina Public Library, and the Regina Immigrant Women’s Centre. Fatima with her extensive EAL background was willing to teach a language and literacy class for newcomer women with babies or preschoolers on Tuesday and Friday mornings. This would also give her U of R ELNG 200 students opportunities for volunteering. Thus resolved, Fatima and Meredith began looking for a space, and were at first discouraged because they had no budget. Meredith, then, applied to the Saskatchewan Synod of the Evangelical Lutheran Church in Canada (ELCIC) for funding. The ELCIC awarded them $1,100. The funding, then, would cover tea, juice, and snacks for the students and their children and the services of a coordinator. Cynthia Schultz, a University of Regina master’s student in the Faculty of Education, was hired as the coordinator. With a space, a teacher, a coordinator and volunteers in place, they advertised the course at the Open Door Society, the Regina Public Library and the Lutheran churches in Regina. The first class was offered on October 4. Others from the Faculty are also involved. Dr. Christine Massing helps with the children on Tuesdays. The students from ELNG 200 and students from Fatima’s master’s classes have taken this opportunity to donate items such as diapers and clothing for the EAL students to take home. Yan Yang, a PhD student, also comes out to help tutor each week. Fatima prepares all the course material after assessing where EAL students are at with their English. She also assists her ELNG 200 student volunteers with strategies for teaching EAL. The Regina Public Library has helped with curriculum. University of Regina student Jenna Magnusson works with Rasha as her EAL tutor. Jenna says, “This has been a good experience. I’m gaining insights about people learning English.” One of her strategies is to use her Google translator to look up a word in Arabic when her student gets stuck on a word. EAL student Finda Sam works with U of R student Jonah Norman-Gray. Finda also likes the program and says she is learning. She says, “I want to learn to read, to read and write.” She would also like to learn to drive. Once these skills are in place, she will consider what she would like to do in the future. For the future, Fatima is interested in making this program a self-sustaining model: She says, “It is for community from community.” She is hoping to interest retired teachers in the program, and more student volunteers. To see photo gallery, slide your cursor over the photo below and click on the arrow to see the next photo.